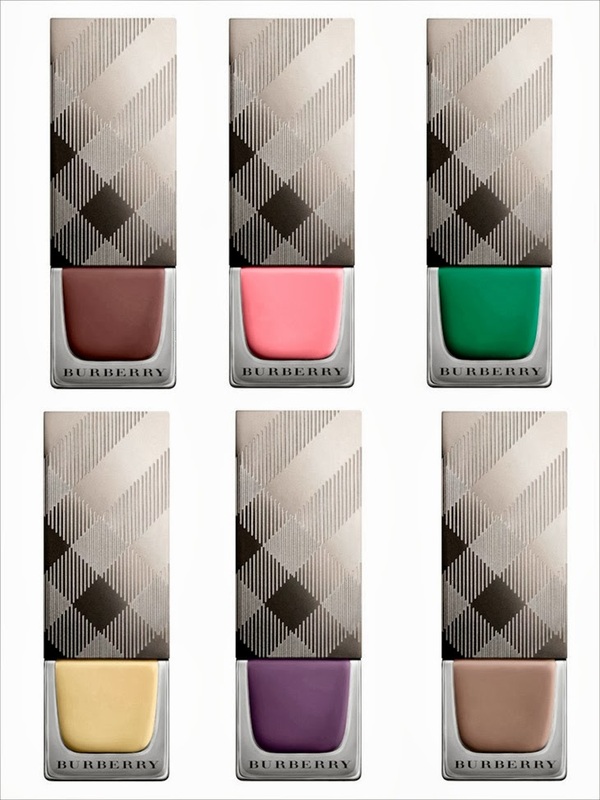 Burberry revealed a new nail polish collection backstage at the Spring/Summer Show 2014. The will only be available for two weeks before being on hold until their official launch in January 2014. The polishes were created to match the handbags that models such as Cara Delevigne, Ava Smith and Edie Campbell rocked on the runway. 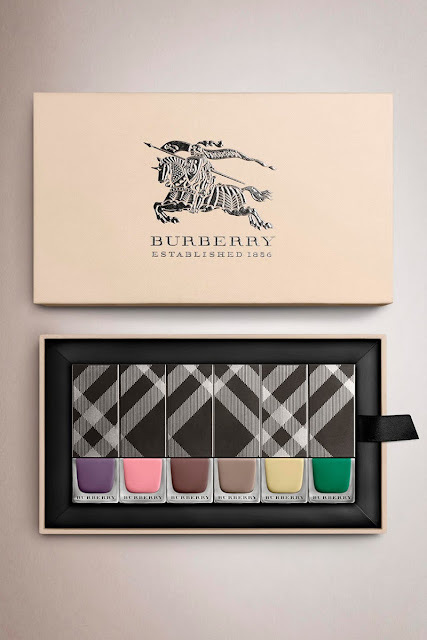 Burberry's first nail polishes launch this month as part of their permanent beauty collection, but if you would like to own the new six-pack of shades you might want to move fast because I think they will be selling out before the two window is up. You can purchase the Burberry Spring/Summer 2014 collection for £90/$153 from Burberry.com until September 30th.